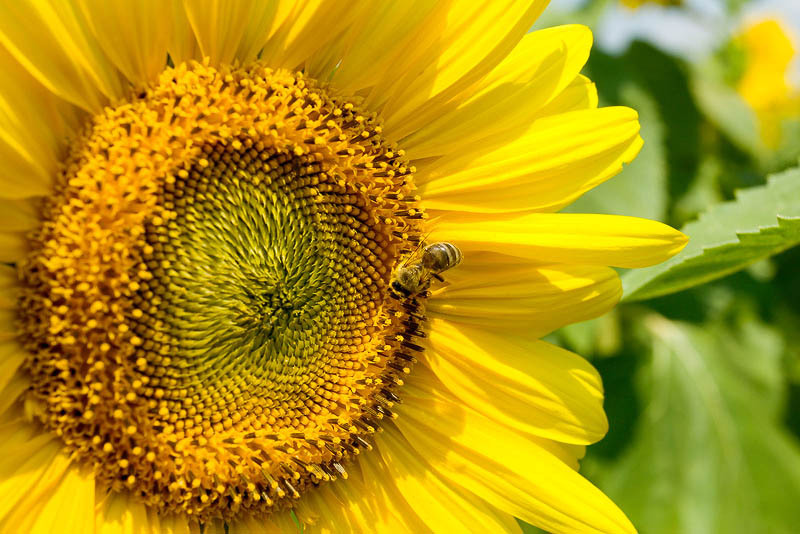 Close-up of yellow bloom of sunflower plant with insect. Summer scenery of blossomed flower. Farming culture. Agriculture.